Fans of F1 of the 1990s will recall the McLaren F1 GTR nicknamed "Longtail" that dominated the circuit at the time. 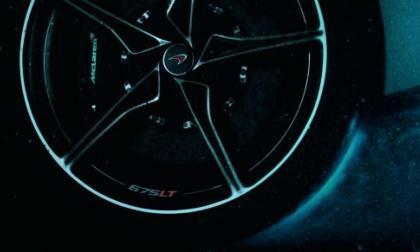 Well, it's back as a new McLaren 675LT. 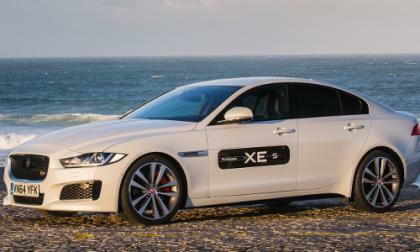 What do flying in a glider with a world champion and aerodynamics of Jaguar’s all-new XE Sedan have in common? You will be surprised just how much you can learn while flying in an un-powered aircraft. 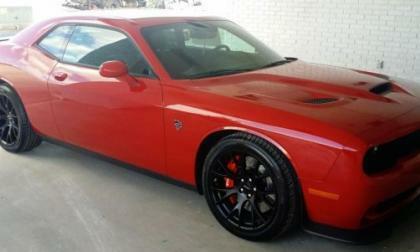 I have been receiving a great many emails from readers who are trying to find a 2015 Dodge Challenger SRT Hellcat for sale, but they have been unsuccessful in doing so at their local dealerships, so here is an automotive Public Service Announcement of sorts – there is an unreserved Hellcat Challenger available for sale at Landers McLarty CJD in Huntsville, Alabama. 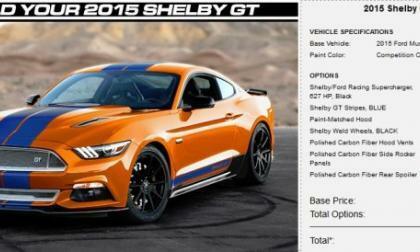 While the performance world was so focused on the new Ford Shelby GT350R Mustang that debuted in Detroit, the arrival of the 625 horsepower Shelby GT Mustang almost snuck by without much notice, but today, we bring you the first look at the build page for the next generation Shelby GT. There is a report going around the internet that the 2015 Chevrolet Corvette Z06 Coupe lapped the famed Nurburgring in just 6 minutes and 59.13 seconds, but General Motors has been quick to point out that these rumors are not accurate. 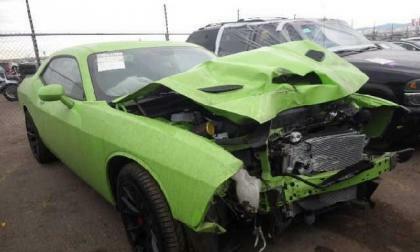 The Hellcat Challenger is a unique car and not many are likely to come to market totaled. Here’s your chance to buy the most powerful restoration or project car in America. 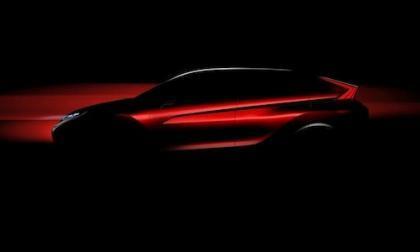 Mitsubishi teases a new Compact SUV Concept before Geneva Motor Show 2015. How will it be related to the new EVO successor? 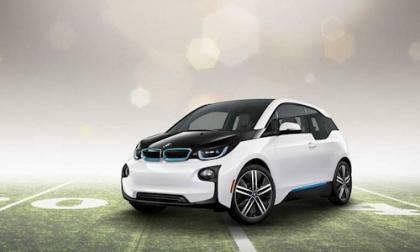 BMW will raise the price of the 2015 i3 in the U.S. market. 2015 models will be arriving soon. The day of the Integra ‘R’ and ILX 6 speed ‘S’ type is all but a distant memory for many young Acura enthusiasts. 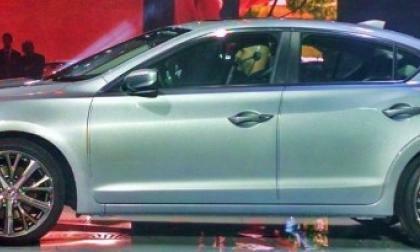 Enter the 2016 Acura ILX performance sedan, a small car that’s sure to reignite Acura sports-car enthusiasm. 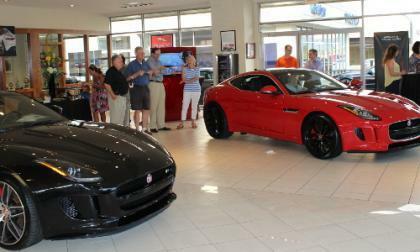 The reviews are in and Jaguar intends to impress you with a car that is everything you need and want. 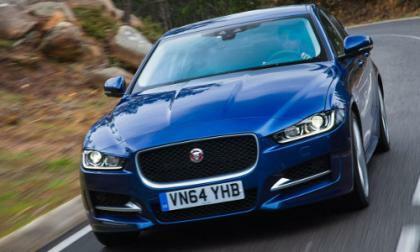 Jaguar’s XE sedan is currently being tested and the praise is plentiful. 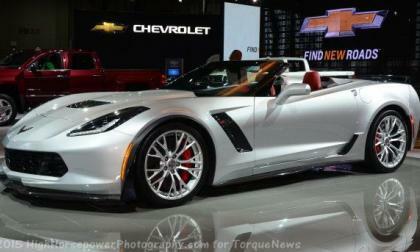 Last month we brought you the news of a 2015 Chevrolet Corvette Z06 coupe that had blown the motor with just 891 miles on the odometer and today, we are glad to report that General Motors has that C7 super-Vette back up and running – well enough that the driver has had the 650hp beast out to the track at Road Atlanta. 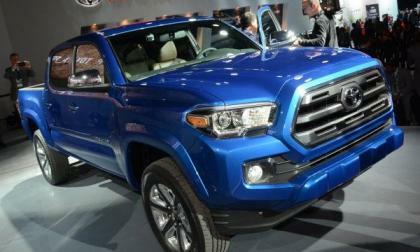 Toyota’s vehicle sales continue to grow faster than the industry rate, but Tundra and Tacoma can’t, and it has nothing to do with the competition. 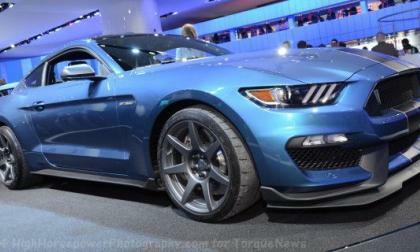 While it has not been confirmed by Ford Motor Company, a rumor floating around the internet suggests that the new Shelby GT350R Mustang has lapped the Nurburgring substantially quicker than the Chevrolet Camaro Z/28, which makes the GT350R the quickest muscle car to lap the Ring – if the rumor is true. 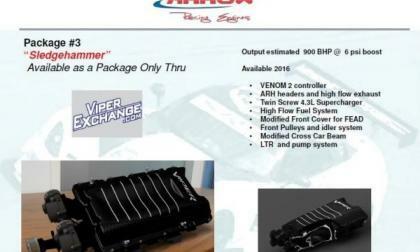 While the modern Dodge Viper is one of the most powerful American production cars of all time, the age of adage that there is always someone faster is why The Viper Exchange has rolled out a collection of high performance packages that lift the output from 640hp up to a whopping 900hp. Just how important is the relationship with your local auto dealer? 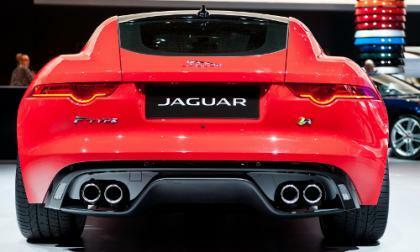 Jaguar is poised to do things that other automaker can’t accomplish and they will do it in style. 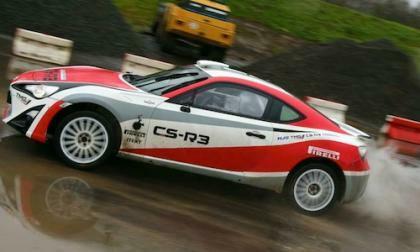 Toyota Motorsport has released details on the Toyota GT86 CS-R3. Why is the debut delayed? 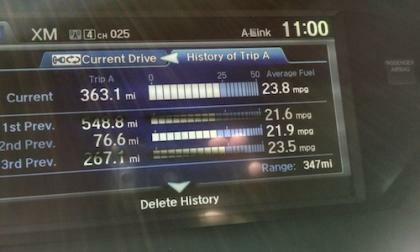 On a recent real-world combination test drive from Phoenix to Sedona, Arizona, 2015 Acura MDX threw a curveball in the EPA average fuel efficiency rating; it bettered it! 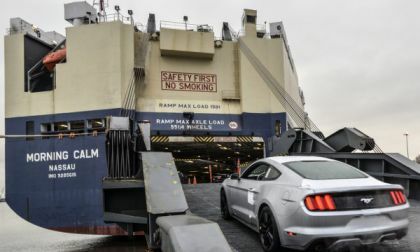 Ford Motor Company has announced that the first batch of 2015 Ford Mustang models destined for dealerships in Asia, Australia and Europe are nearing delivery to these foreign ports – a move which will almost certainly help the Mustang because the bestselling muscle car in the world. 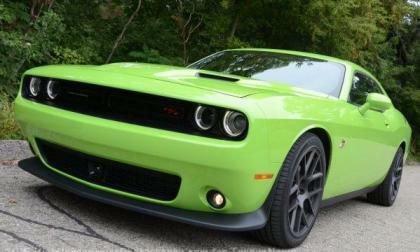 A new report indicates that since the 2015 Dodge Challenger went on sale late last year, those packages with one of the various Hemi V8 engines are comfortably outselling the V6 models – marking a surprising shift in take rate in a segment where the less-powered V6 engine usually dominates sales figures for all of the Detroit muscle cars. 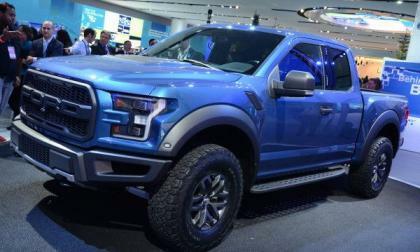 When the 2017 Ford SVT Raptor F150 was introduced at the Detroit Auto Show, it was promised that it would have more power than outgoing models and this past weekend, Ford VP of Global Product Development Raj Nair mentioned in a TV interview at the Rolex 24 that the new Raptor would pack 450 horsepower. 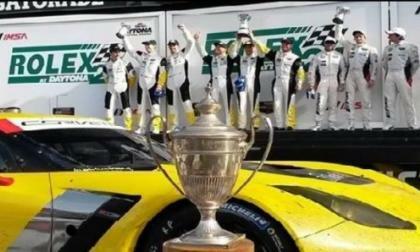 The two Chevrolet Corvette C7.R race teams took to the track for the Rolex 24 at Daytona this past weekend and in the first race of the 2015 Tudor United Sports Car Championship season, the Corvette Racing teams were dominant in the GT LeMans class, taking the class win while the Corvette Daytona Prototype teams put two drivers on the podium in the fastest class. 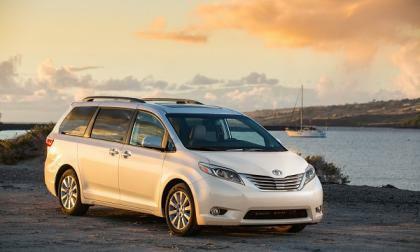 Toyota’s Sienna is currently the only minivan that earns top safety scores. 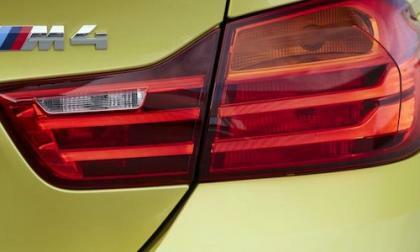 A new award says it is also the best in resale value. 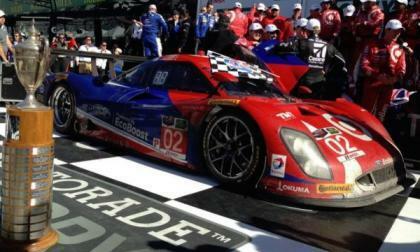 Ford added another exciting chapter in the book of EcoBoost this past weekend, as the #02 Ford EcoBoost Daytona Prototype race car fought through early mechanical issues and used late pit strategy to bring home a big win for Ford Motor Company’s booming endurance racing program. 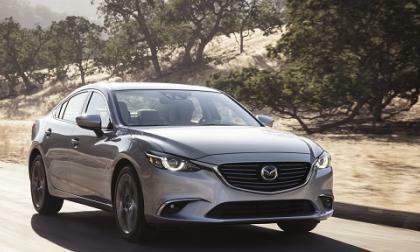 After four successful years in the mid-size market, Mazda sharpens the look and tightens up the joints of the Mazda6 sedan. 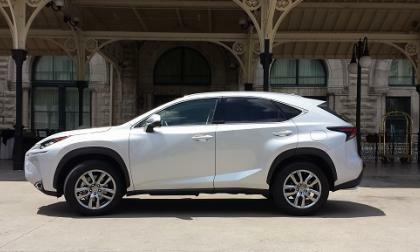 Critics can dismiss customer surveys about Lexus quality as just opinion, but resale values are harder to argue. The 2015 BMW M4 with a 3.0-liter TwinPower inline six takes on a 2014 Dodge Charger SRT 8 with a 6.4 Liter Hemi V8 in a drag race. Who wins? 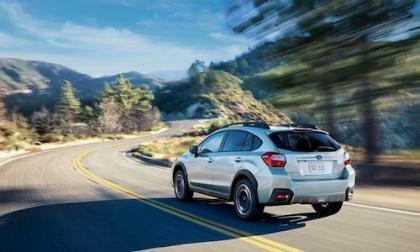 2015 Subaru XV Crosstrek and 2015 Impreza have received the top rating of Advanced Safety Vehicle-Plus (ASV+) in the Japan New Car Assessment Program. Jaguar hit a grand slam with the introduction of the F-Type, but the scouting report on the F-Pace has left some wondering if it can even get on base. 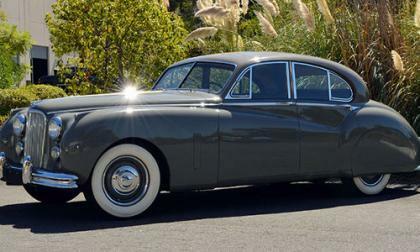 Luxury and Sophistication set Jaguar apart from the competition back in the 50’s and 60’s, and the 1954 MK VII Sedan (Saloon) was an Iconic Grand Touring car with style.